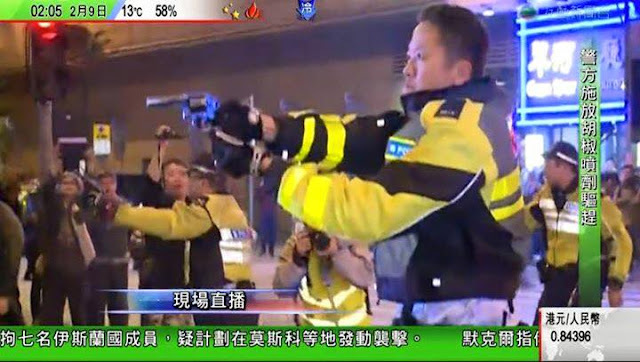 If you think Mo was one of the dozens of food hawkers in Mongkok who were at the front and center of the so-called Chinese New Year’s Riot that rattled Hong Kong just 30 hours ago, you would be wrong and not even close. 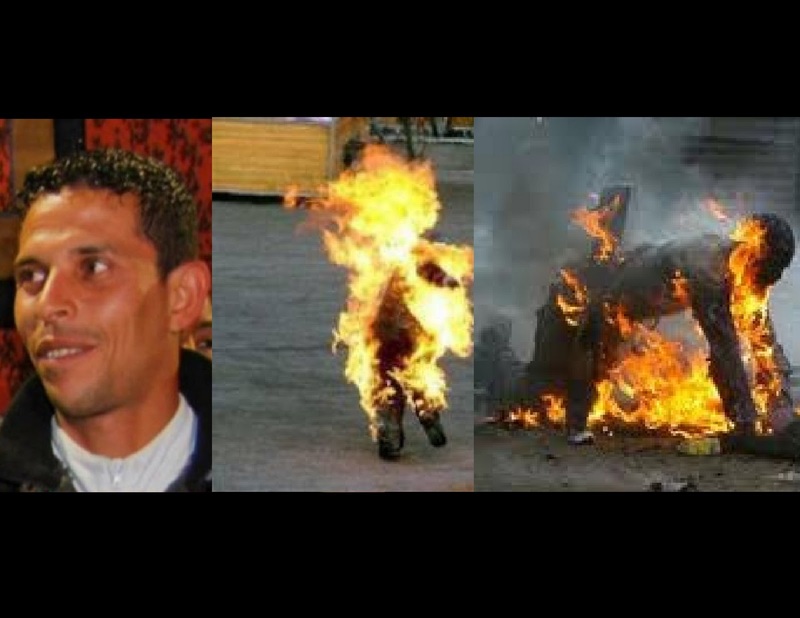 Mo’s full name was Mohamed Bouazizi, the Tunisian vegetable seller who doused himself with gasoline and set himself on fire in 201o. His public suicide had fueled so much public outrage toward the Tunisian government that street rallies organized in his honor would turn into riots, and riots would snowball into an uprising that would be known to the world as the Jasmine Revolution. The unpopular president Ben Ali would step down a month later, the country would be fully democratized with a free election by year’s end, and citizens in the rest of the Arab World would be inspired to demand similar political reform. All that, because of one unknown street vendor. The significance of the fish ball hawkers lies in their very insignificance. 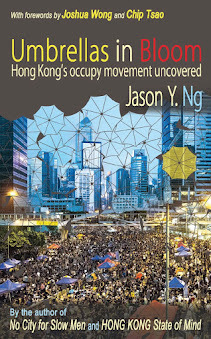 Many in Hong Kong are asking the same question that Bouazizi had asked himself: why did the government systematically target these petty outlaws and mobilized an army of riot police to go after them and their supporters, when, well, the five missing booksellers are still unaccounted for, none of the cases of police brutality during the occupy movement has been resolved, tens of thousands of public housing residents continue to drink water from lead-leaching pipes, and the high-speed rail link project with a whopping $85 billion price tag is delayed and may possibly be abandoned at the expense of taxpayers. 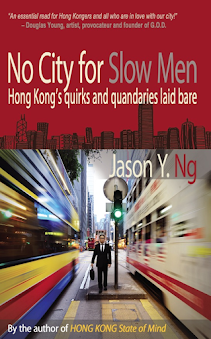 Then there are the chronic political Gordian knots like the cross-border tensions, the marginalization of Cantonese, and, above all, the broken promises of universal suffrage that have left the city of seven million despondent and disenfranchised. And so this so-called “Fish Ball Revolution” really isn’t about fish balls at all – it is about citizens fed up with the daily abuse by an unelected and unaccountable government led by an unelected and unaccountable chief executive. One commentator compares Hong Kong people to a battered woman, who, after putting up with years of domestic violence, finally snapped and threw a beer bottle at her husband. That sums up why protesters in support of the food vendors hurled bricks and set garbage on fire during the predawn police clashes on Tuesday. 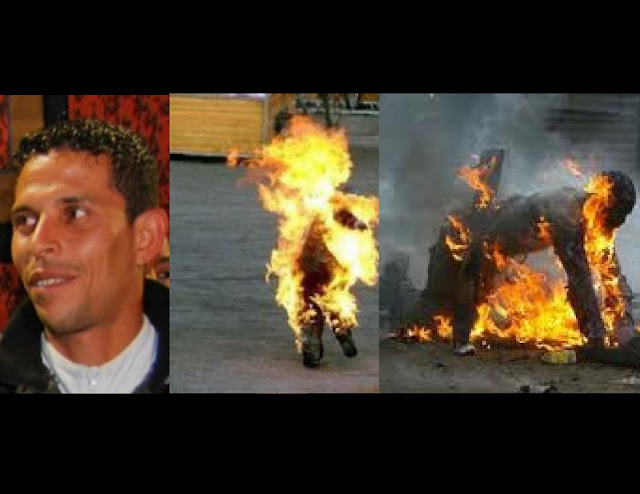 It was the same pent-up anger and resentment that pushed Bouazizi over the edge. Surely, the vegetable seller did not set himself on fire because he had a bad day – it was years of harassment and intimidation by the local police that made him do the unthinkable. For frustrated Hong Kongers, three and a half years of C.Y. Leung dismantling the city bit by bit has just about done the trick. Much like the occupy movement, the Chinese New Year’s Riot has polarized society and torn the city asunder. 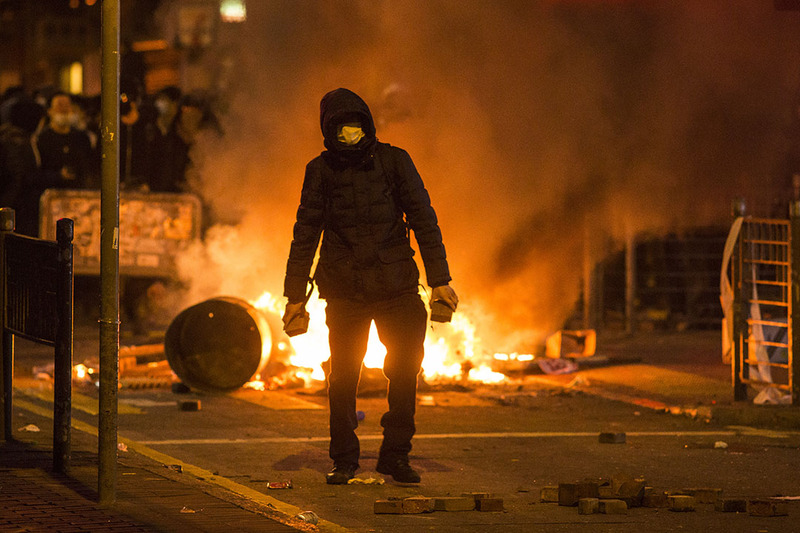 On social media, sympathizers hailed the violent clashes as a game changer that has finally put Hong Kong on par with the rest of the world, where protesters have the chutzpah to throw rocks and set vehicles on fire instead of sticking to slogans and banners. The pacifists, on the other hand, were quick to condemn the brick-throwers and fire-setters as radical and extreme. When the dust finally settles, however, the hawks will likely have the last word on this round of debate, for no matter how “radical and extreme” Bouazizi’s self-immolation may seem to some, most reasonable people would place the blame on the oppressive government instead of the man who gave his life resisting it. 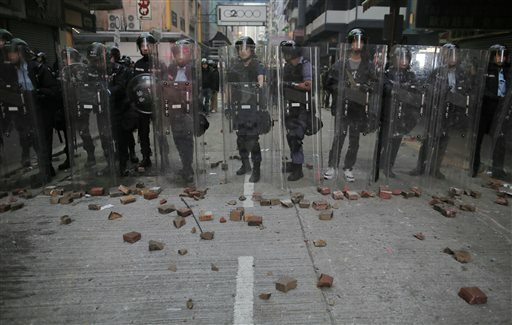 Likewise, no matter how rash and misguided the protesters appear, none of them would have risked prison by throwing bricks at the police if they had better, more effective ways to make themselves heard. One of the five stories that make up Ten Years (《十年》), the surprise box office hit that posits a grim future for Hong Kong, is about a woman who commits self-immolation outside the British consulate in protest of the country’s failure to uphold the Sino-British Joint Declaration. With street protests becoming increasingly intense and the city looking more ungovernable by the day, what seems like a far-fetched conjecture may well become a terrifying reality. Unless we find a way to cool the rising political temperature, it is perhaps a matter of time before protesters set more than just garbage on fire and we have our very own Mohamed Bouazizi. This article was published on Hong Kong Free Press under the title "Never underestimate the little guy: what the Mongkok clashes have in common with the Arab Spring." 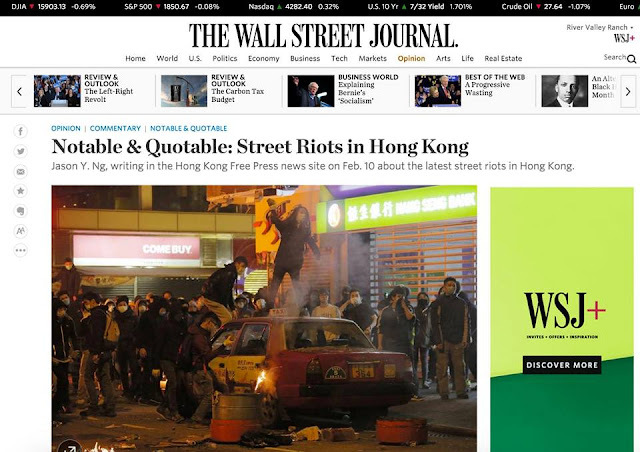 This article was reproduced in The Wall Street Journal as "Notable & Quotable: Street Riots in Hong Kong."